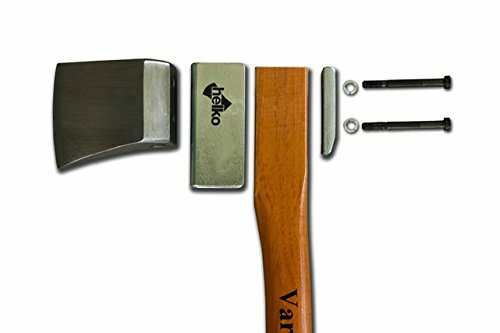 What is the best splitting maul on the market today? 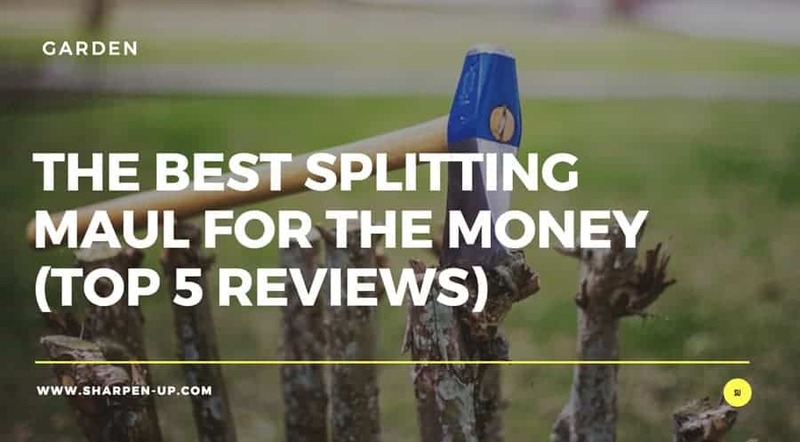 The fact is, if you are going all out to buy a dedicated splitting tool, you’ll want to be sure that you are getting a quality product that is built to last. To help you in your search, the table below shows our top 5 top quality splitting maul choices for 2018. Beyond that we’ll talk about some of the things you should consider when buying a maul. For in depth reviews of each of our top picks, just keep on reading. 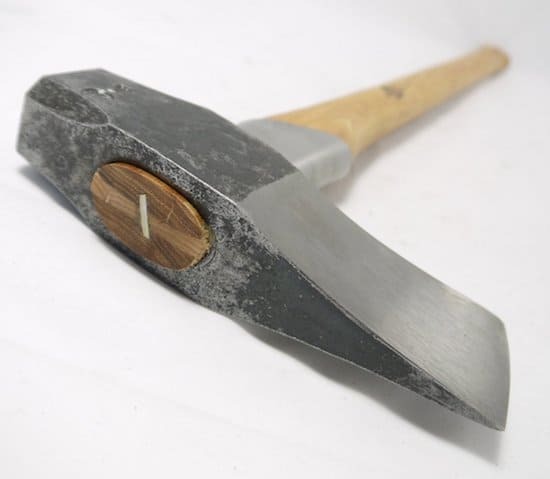 First, let’s get our heads around what a wood splitting maul is, (many people understandably confuse a maul for a splitting axe). 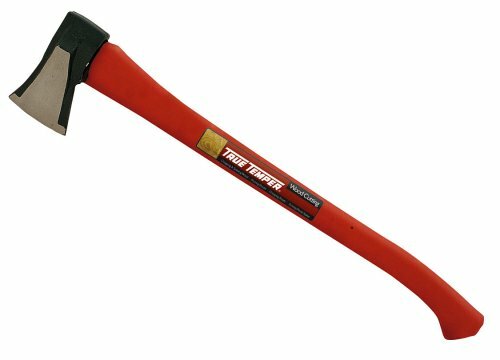 In simplest terms, a splitting maul is like a huge sledge-hammer with a pointed axe head. The maul head is bulky with many of them weighing in between 6-8 lbs, (we’ll get to why this is in a minute). Splitting mauls feature a longer handle and blade edge that isn’t particularly sharp. 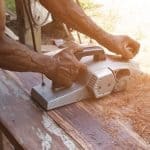 The tools mass is used to split the wood rather than a sharp edge. 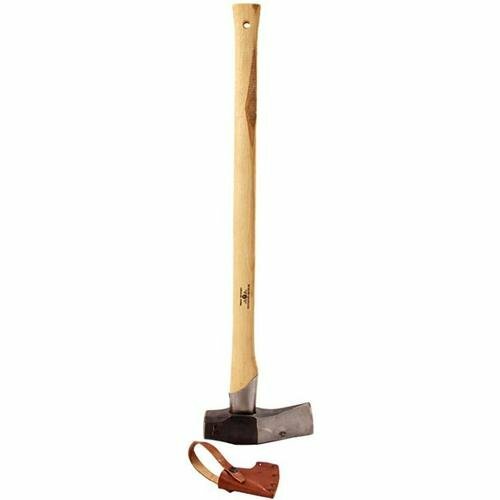 Differences between a splitting maul and an axe? While our splitting maul description above may hint to the differences between that and an axe, we’ll take a closer look at the distinction. In basic terms, a true axe has two main features: the head is sharp and thin. This amounts to a very different method of cutting when compared to a maul. An axe is designed to cut through wood fibres using the ultra sharp head. When you swing the axe into wood, the sharp edge first slices into the material and the thin blade follows through to cut into the fibers. 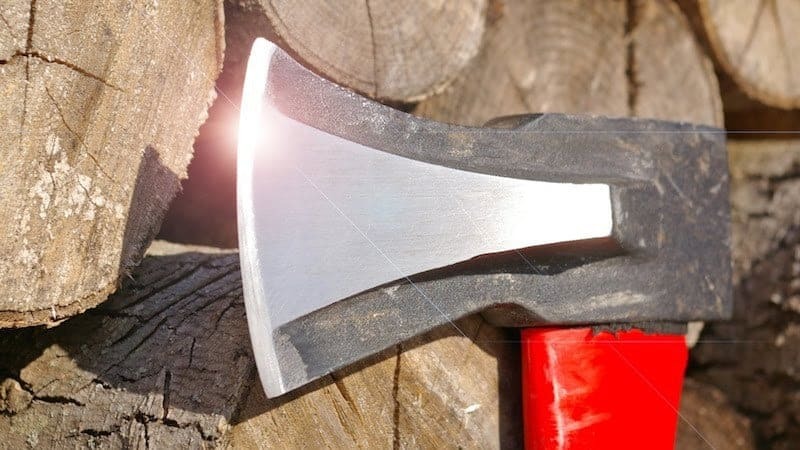 The eye of the axe head (the wide part where the handle connects to the head) then takes cares of fully separating the wood into pieces. 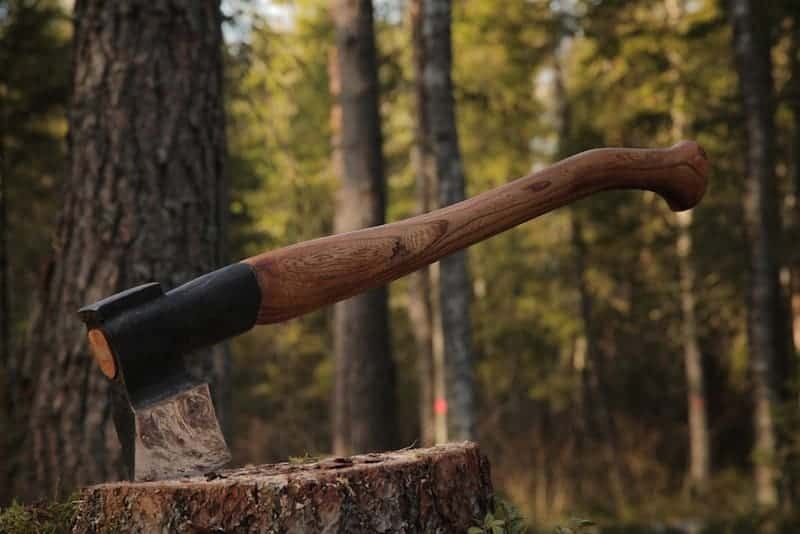 Watch anyone at work with an axe and you will see they are actually cutting the wood, they are knocking out chips with the axe head, cutting a deep “V” into the wood until the axe has fully made its way through the material. The maul on the other hand, approaches the job very differently. As mentioned above, a splitting maul head is actually blunt and fat. The maul works by dividing a piece of wood in two. It does this by forcing the wood fibers apart parallel to the grain. The heavy dull edge widens a crack between fibers, while the V-shaped head forces the crack apart with repeated pressure. This is why an maul uses a longer handle. It offers the users greater leverage with which to swing the heavy end into the wood, causing enough pressure for the material to split. 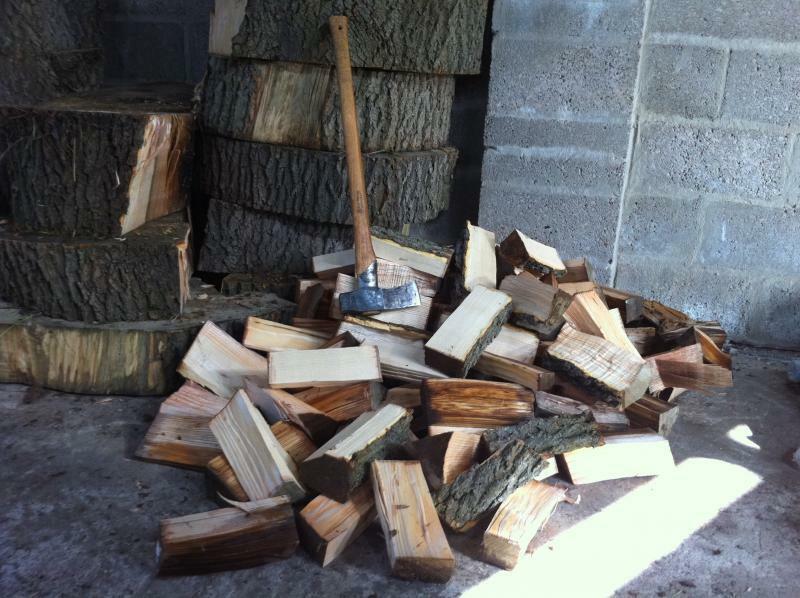 This is one disadvantage of using the wood splitting maul over a splitting axe. The total weight is greater, which means it does require more energy to swing. This in turn means buying a higher quality maul is generally necessary. The better the balance and design of the head, the more efficiently you will be able to work. So which tool should you actually opt for considering both the axe and the maul can complete the same job in different ways. Ultimately, the size of the wood being cut and how much work you need to do will help determine which tool you should pick up and use. 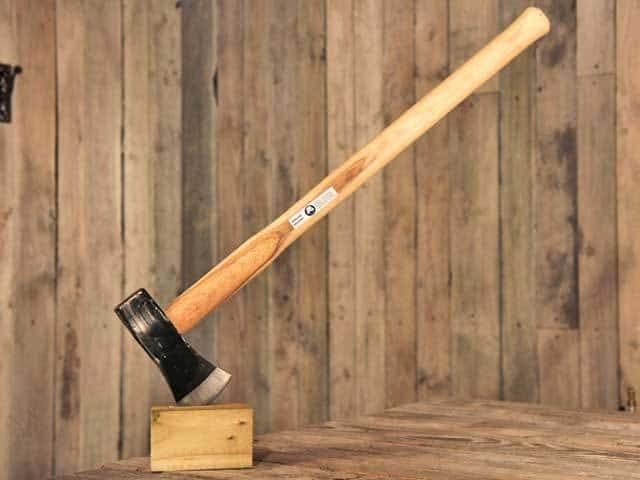 If you have a yard full of very large chunks of wood, the splitting maul is a great tool. Not only is the act of swinging the maul down and splitting chunks on contact, extremely satisfying – the fact the increased head weight gives you more power, will make the job a whole lot faster. However, as mentioned already, if you are of slight build and you have a lot of wood to chop, you could end up tiring pretty quickly. 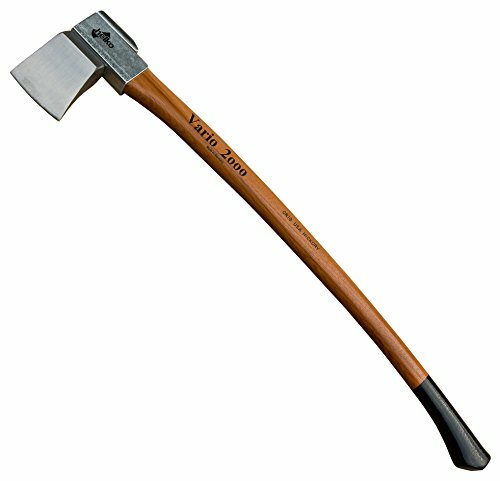 For smaller pieces of wood or for splitting around the edges, the splitting axe may well be the preferred choice. It is simply lighter and easier to swing. Ultimately, we recommend that you have both tools at your disposal. If you have both a splitting maul and axe, you will be able to choose accordingly. This will help you get the work done faster and more efficiently as a result. If this sounds like a lot of hard work, you might want to read our top 5 best log splitters article (gas and electric) here. The handle is one of the most important aspects when buying the a quality splitting maul. The two main options available are traditional wood handles, or handles made from fiberglass or other composites. While fiberglass is generally lighter and more durable than wood, (it doesn’t submit to environmental conditions, and retains grip in the wet), many still opt for the wooden handle because they are comfortable and let’s face it, they look better. Some users will argue that non-wood handles that are designed with anti-shock ergonomics in mind, are in fact a lot easier on the wrists. However, for every user that states this, there will be others that suggest simple wood handles have been good enough for centuries – why change now. Ultimately the handle you opt for is down to personal preference. If you prefer the aesthetics and comfort of wood then that’s what you should buy. 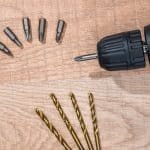 If you like the idea of composites designed to take some of the impact out of heavy use, there are certainly options available. 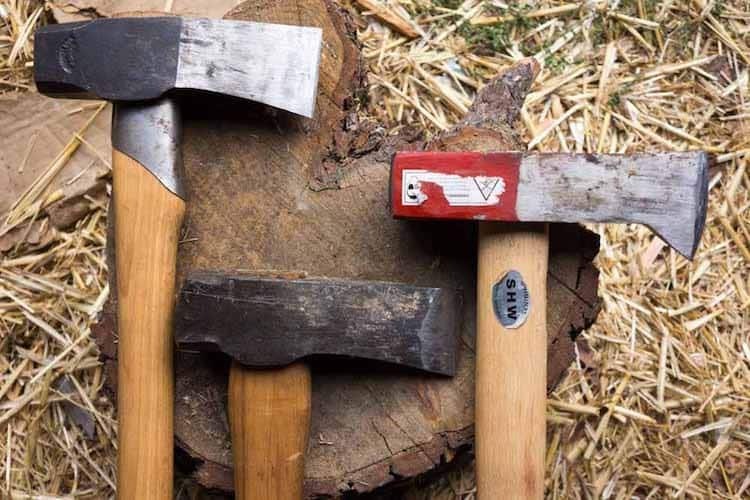 Interestingly, most of the premium branded, handcrafted splitting mauls opt for wood handled designs. Make of that, what you will. The overall weight of the head is another area you should consider. The heavier the poundage, the more force you will be able to bring down on to the wood, (and the faster your results should be). However, the trade off is you are swinging that extra weight. If you think you might tire easily due to that extra mass, you may want to opt for a lighter maul head. Inspect how the handle is mounted into the head. Is the socket durable? Read reviews and customer comments to see if the design has any flaws in this area. If you want your tool to last years under the tough conditions of wood splitting, you’ll want the build quality to be as high as possible. Balance comes from the way the head is weighted, in ratio to the handle length and overall shape and design. The better the balance, the easier your tool will be to swing. In a perfect world, your tool will be so well balanced that all you have to do is lift the maul into the air, the swing will take on a life of its own through the kinetic energy brought about by the way the maul is pieced together. If all the main components sit well together, your splitting maul will do the work for you, without you breaking out into a sweat. Good balance generally comes from excellent craftsmanship. And that does not necessarily come cheap. Read up on how to use a splitting maul here. 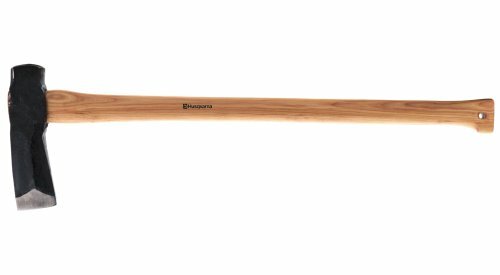 The Gransfors Bruks Splitting maul gets our top rated pick because of the level of craftsmanship that goes into building each and every maul. We mentioned balance in our what to look for when buying a splitting maul section. And balances is what this tool has in spades! First off is the impressive 5 1/2 lb head. This has some excellent bulk to it, providing the force of impact you need to make short work of any opposing wood. Then there is the quality of the steel that has been used. Tempered and annealed to the right toughness, this is a splitting head strong enough to be handed down to your grand children when they reach the right age to be wielding a maul. 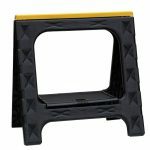 Amazon.com user reviews (you can read some here) literally wax lyrical on the level of quality you are getting with the Gransfors. But back to that concept of balance: the long 31″ handle has a big part to play in this. The length, weight and slenderness of the hickory wood handle is perfectly aligned with the splitting head, to give you the feeling that the maul is actually floating in your hand, (we’re capable of a bit of hyperbole too you know). A rather lovely feature of the Gransfors, is the fact each tool is taken care of by an individual craftsman as it is made. When the employee has finished lovingly putting your maul together, they stamp their own initials into the metal. This attention to detail is more than evident in the end product. Other features such as the metal collar below the maul head, (designed to protect the hickory handle against over strikes) go to show the level of though that has gone into the tool. The manufacturers take pride in what they create, and this is passed onto the owner of the finished result. A rather lovely grain leather protective head pouch is also included. Some users have complained that on very large chunks of wood, the maul head can become momentarily wedged into the material. If you are after one of the best quality splitting mauls on the market today then look know further. This is a beautifully constructed maul with excellent balance, that will make log splitting chores a pleasure. The tool does not come cheap however. The Husqvarna splitting maul is another quality-crafted tool, (why else would it make our top 5 list) that is worthy of your attention. The Husqvarna opts for more bulk than our top pick Gransfors. The head weighs in at 6 ½ lbs, while the overall length is 32 inches. This amounts to a tool that is very well balanced, and given that extra heft works extremely efficiently too. The manufacturers have also taken care to harden the striking face in the neck of the maul. This allows the tool to be used as a sledge or in combination with a splitting wedge. The hand forged look on the head is a great aesthetic. Combine this with the leather edge cover and you end up with a tool that looks both traditional and hard-wearing all at the same time. Some users have stated that the finish on the handle could be better, (the answer being to apply your own durable varnish should you feel the need). Other comments have suggested that the maul is not as efficient as it should be on ultra hard woods such as elm and oak. Top quality craftsmanship resulting in a very well balanced tool. A very well crafted splitting maul with some excellent dimensions and overall balance. 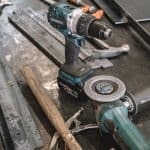 A minority of users have voiced minor complaints, however when you consider the quality of the tool and its price, the Husqvarna very nearly received our top rated pick. Highly recommended. Fiskars are a brand we have rated highly a number of times on Sharpen-up. 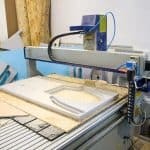 On a fairly consistent basis the company manages to balance mass production items (pitched at very competitive prices) with high build and design quality. The Fiskars Iso Core Splitting Maul certainly fits into that category. Priced for the everyman, rather than the enthusiast, this 36 inch beast is one of the largest in our splitting maul review round up. The head features two faces, one for splitting the wood (splitting face) and a fatter end for driving wedges and stakes (the driving face). That superior design ethos we mentioned above; this extends to the overall blade shape too. Fiskars claim that optimised blade geometry has been conducted on the head, so that the tool offers a more efficient level of penetration. Fiskars also have a patented IsoCore shock control system. This is built into the body of the maul and works as an absorbent against strike shock, reducing vibration along the handle and thus the punishment your hands and body take. (They claim that the system transfers 2 x less shock than the average wooded handle). The handle has also been designed to fit securely and comfortably in the users palm, and contains a pronounced handle flare for security. To improve grip and to reduce blisters, a strategic handle texturing has been employed. For increased durability, the inseparable riveted head will not slide down or snap off during the hardiest of splitting tasks. To top it all off, Fiskars throw in a full lifetime warranty. That’s the level of confidence they have in their tools – the company doesn’t envisage you ever having to come back with a complaint. Overall not as aesthetically pleasing as the more traditional designs available. The Fiskars Iso Core 8 lb Maul, 36 Inch is an excellent splitting maul that will suit all those that want a tool that works without outlaying too much in the way of dollars. However, for those looking for the genuine wood splitting experience, or just prefer the design ethos that comes with a handcrafted maul, the Fiskars won’t really hit the mark. We’re back in premium splitting maul territory with the German crafted Helko Vario 2000. Made in Wuppertal (for those interested) this heavy log splitter use German C45 high grade carbon steel (53-56 on the Rockwell hardness scale) for the head construction. Furthermore, the steel head on each maul is drop forged, heat treated, and oil-hardened. As you would expect, the result is one tough cookie. The head weight comes in at 6.7 lb (overall weight is 8.5 lb) with a total length of 36 inches. This actually makes it the heaviest maul on our top 5 list by our calculations. All this being said, the tool can be a tad demanding on the user – even the marketing copy for the Helko Vario states that it requires controlled strength from its operator, due to the size and weight involved. For extra durability the Vario 2000 features a patented screw system. This enables the simple interchange-ability of axe blades and handles. And while that sounds like a hazard waiting to happen, (flying heads anyone), the system actually uses a cap screw retainer and hex key (included with the maul) that locks everything in place, while allowing handles to replaced as and when required. A built-in safety feature ensures that if and when a head comes loose during use, the head cannot actually separate from the handle. A handy benefit of the interchange-ability (apart from meaning the tool will last longer), stems from the fact the system is standardized. All blades and handles are completely interchangeable between all Vario 2000 models. But what about the handle? This too has a nice long list of features. The company has not cut corners here by any means. The handle is crafted in Switzerland from sustainably sourced and FSC certified Grade A American hickory. The finish on the handle is lightly lacquered with black-dipped grip for extra security in the hand. The maul features a steel overstrike protector. This shields the handle against any miss hits. Hefty size at 6.7 lb (head weight) and 36 inches in length. Patented screw system, enables interchange-ability of axe blades and handles. 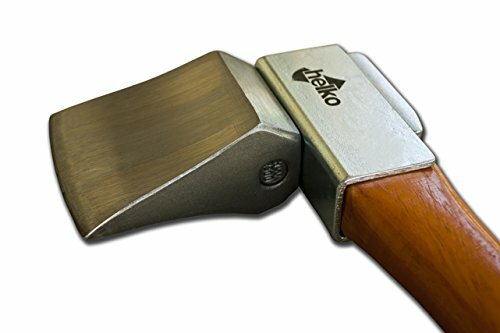 The Helko Vario 2000 is a top notch splitting maul loaded with some great features. It may be a little on the heavy side for some, so it is recommended you try before you buy however. The final entry in our top 5 splitting maul round up is the True Temper Sledge Eye. 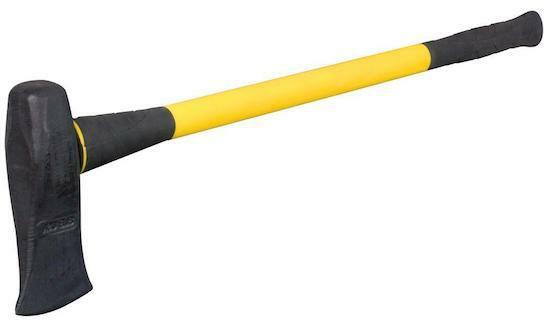 Priced in a similar vain as the Fiskars, (none premium budget), this 36 inch 4 lb maul has the bulk you need to tackle those splitting tasks, while being light enough for the majority of uses to manage. The more diminutive weight (4 lb) actually stems from a lightweight handle design that incorporates a fiberglass core and molded polypropylene cover. The handle also sports an integrally-molded handle guard that helps to ensure tool doesn’t slip or come loose from the operators hand. 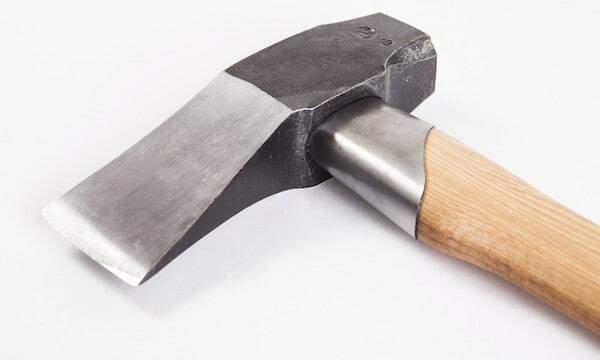 The splitting head is durable enough, and holds up well considering the true temper does not have the same high-grade forging construction process that some of our hand crafted products boast. 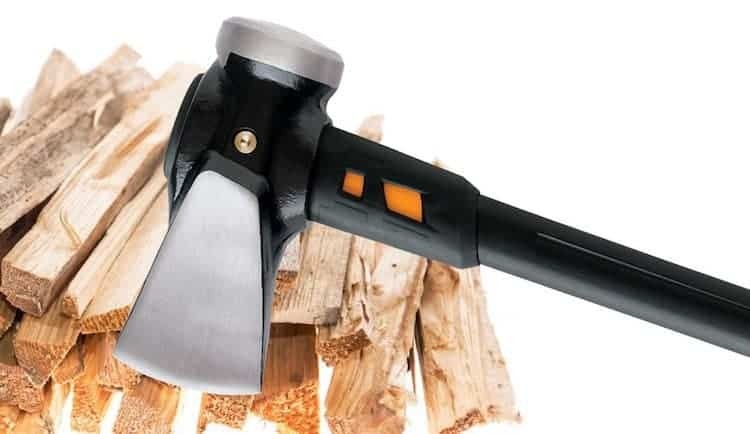 While the True Temper Sledge Eye 1190400 Super Splitter Wood Splitter-Maul is a good splitting maul for the money, it doesn’t hold up to the sheer quality to the Fiskars, (which is its nearest competitor in our top 5 list). These are all rather lightweight tools. I prefer the Fiskars X27 for the easy stuff, and my 15 lb Monster Maul for the big stuff. Yes, I have no trouble swinging it, and it takes fewer swings to get the job done. An update. I got the Fiskars 8 lb Iso-core also. I am not sure what the “genuine wood splitting experience” is, as I have been splitting for over 40 years with various tools. I actually like the ergonomics and the aesthetics of the Fiskars iso-core. It is more comfortable than either wooden or steel-handled tools. I have done only a little splitting with it so far, but it may be almost a match for my Monster maul for splitting ability. That is saying something for a tool that is only half the weight of the Monster Maul.